Bam Margera is back on his feet and getting new ink after taking a fall down some stairs, busting himself up. 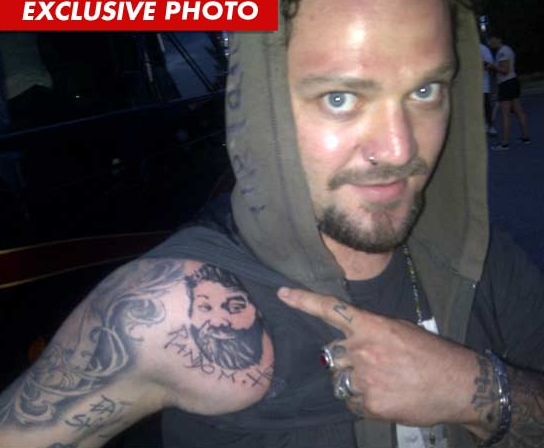 This time he got the face of his late friend, Ryan Dunn. It looks really good too.